Yoga has been one of my greatest teachers. Of course, I do have those amazing actual teachers whom I will always remember and to whom I owe so much, but there are other teachers in life to recognize as well, and physical activity is one of them. Before I had my baby, I practiced yoga multiple times a week. It quickly became far more than exercise, and gave me plentiful opportunities to learn, not only about my body, but also about so many levels of my mind. I even wrote a paper in one of my graduate school classes based on all that I had learned from yoga and how it applied to the process of learning. But somehow, in the balancing act of becoming a working mother, I have neglected my yoga practice and I am now getting back into it- slowly but surely. Last night I made it to a class, and for the first time since returning to yoga, I was struck time and again with how much yoga, and really any sport or practice, can teach us. 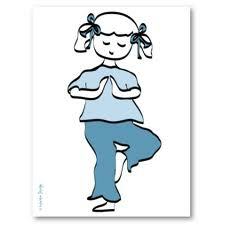 I stood comfortably in “tree” pose as the teacher told us to go to the edge, to find the point of balance that was difficult, and to try to go through that difficulty, to see what we could learn. I closed my eyes (not so easy when balancing on one foot), and wobbled, and fell out of the position. We did the pose again, and I tried again, this time holding the pose with my eyes closed, arms outstretched, feeling the wobbliness and working through it, but remaining balanced. To me this is just the tiniest example of how sports or athletic endeavors are another amazing reinforcement of how to safely take risks and build resilience. They teach us about our own limits, about how to manage discomfort, how to lose, and often how to work in a team or at least in a large group of other people. These are all essential skills that aid our academic learning and enrich our ability to process and learn new things, as well as to build the understanding that it is through failure that we learn the most, so long as we make an effort. At ISTP, we are limited in what we can offer in terms of sports, so we encourage families to find opportunities outside of school. While I keep promoting the message of not overscheduling, brain research has been concluding that one of the best ways to build your brain is to get out and exercise. So I encourage you to find ways that work and fit into your family’s life. They don’t have to be multiple hours on multiple days, but regular exercise can truly enhance your children’s abilities to learn. And there are ways to get involved with minimal commitment. Yesterday at assembly, an afterschool group here at ISTP, called Girls on the Run, announced a fun run in Vasona Park on May 14 that anyone can join to walk, run, or cheer. A few weeks ago, a mother told me about her child’s participation in the upcoming Silicon Valley Kids Triathalon. A new family reminded me of the value of biking to school. Even just a hike, a pick up game of soccer, or a parent-child yoga class can go a long way for everyone involved. As always, please email me with any comments, thoughts, etc.